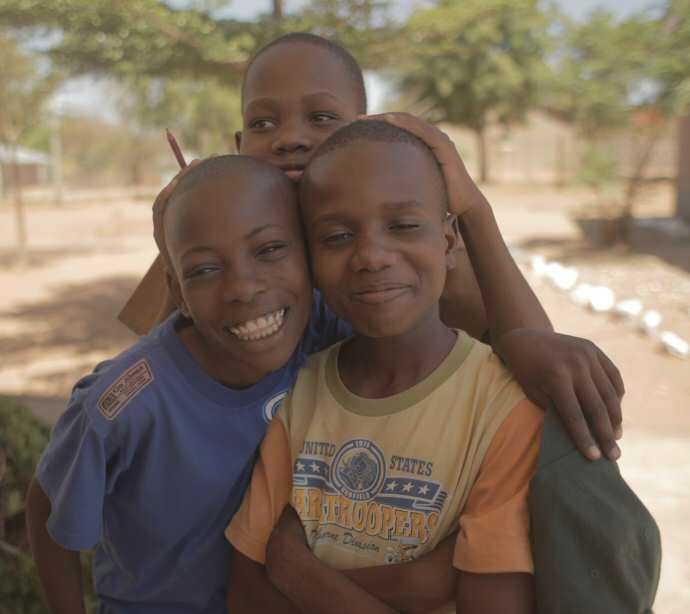 The school is 36 km from Dodoma, Tanzania’s capital, a little south of the equator, and in the middle of the country. It is a very poor region, the area is semi-desert, hilly and badly de-forested. It is strikingly beautiful. Traditional rural houses are low, rectangular, mud brick with thatched or mud roofs. Tanzanian people are famous for their welcome and cheerfulness. Village life is communal but can be cruel for the people who are sick, old, uneducated, abandoned or orphaned. In a 2015 survey, life expectancy in Tanzania was 66 years. HIV incidents in Tanzania are decreasing. Many people live a near cashless life, eating what they can grow, and selling any surplus in the market. Subsistence farming is the norm. Some can hire a team of oxen to plough their fields before the rain comes. Most rely on their hand-held hoes. For most women and girls, living is a physically demanding routine of water collecting and maize pounding, and other domestic chores. Many houses have an earth floor, small windows and no protection against insects. Illness, including malaria is common. Illiteracy can still be a problem. Rural primary schools and secondary schools often struggle. Primary teaching is in Swahili, yet the state requires that secondary education is taught in English. Many Tanzanians are unable to attend secondary education either from inadequate primary education, or as a result of family duties. Mvumi Secondary School was started in 1994 in the middle of Mvumi, a large, busy village which has grown up around its mission hospital. Both the school and the hospital were founded by the Anglican Diocese of Central Tanganyika (DCT). It is an Anglican school but is open to all, regardless of faith. All examinations are in English with the exception of Kiswahili. For most students, English is their third language. Conversation English is practised in debating, morning speeches and competitions. Because of the Trust's links with donors abroad, the school has been able to build a range of buildings, to drill and secure a reliable bore hole, to install electricity and improve other facilities such as the sports fields. The school, assisted by the Trust, has built 2 laboratories, these need to be completed and equipped. There is always a need for braille books covering the Tanzanian O and A level Syllabus. The diet of our students would still be considered inadequate in the West. Some vegetables are cooked each day and one piece of fruit is given in the evening. Lunch is ugali and beans. Meat may be served twice a week. However, the school diet is still a great improvement for many whose home circumstances are very difficult. All sponsored students are provided with lunch at school. The school has a fine reputation with fee-paying students from all over Tanzania and from all backgrounds. Our current school roll is 640 and well over half of those board or lodge locally. The school in partnership with the Diocese and the Government, funded by the Trust, set up a unit for visually impaired students in 2008. This purpose-built resource centre, the Visial Impairment Unit, is for students who are blind or visually impaired. This unit is supported by 4 trained special needs teachers. The unit has 2 classrooms, and a work room and resource space. Students have access to braille machines and other assistive technologies such as magnifiers. The Trust assists the school in purchasing specialist braille paper for embossing (printing in braille) the school exams and some text books when needed. Education at Mvumi is deliberately broad. The school has a holistic approach to develop students academically, socially, morally, spiritually and physically. This vision is that they will grow into skilled and responsible citizens, with a sense of duty to their community and their nation. There is a sponsorship scheme which is overseen in the UK. There are two volunteer Mvumi School Trust Representatives based at the School. 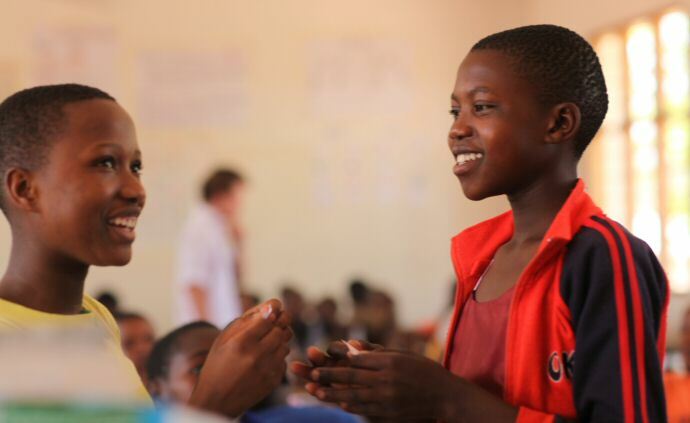 Sponsored students are selected from local and neighbouring primary schools and are from poor backgrounds. 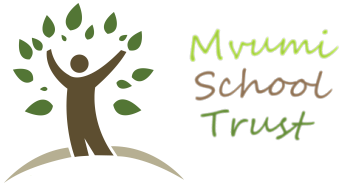 All visually impaired students are fully funded by the Mvumi School Trust through sponsorship. 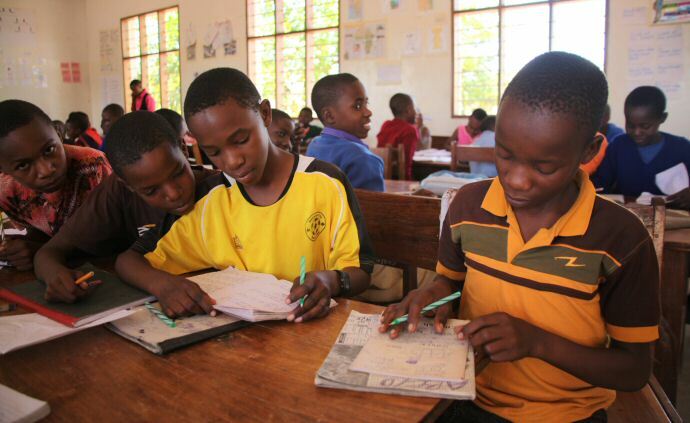 The Tanzanian Government meets specialist teachers’ salaries and some running costs. There is a national shortage of teachers in Tanzania resulting from a major expansion of secondary education. Class sizes in government schools are usually very large. At Mvumi Secondary School we are fortunate that we have a large staff and a healthy teacher/student ratio. The Academic Team is supported by a team of non-teaching staff. All teachers are either university graduates or diploma holders and are trained, or in the process of being trained as teachers. All have been educated in Tanzania. The Headteacher leads a senior Academic Team made up of the Heads of Arts, Science, Commerce, Visually Impaired unit, the Academic Masters, the Discipline teachers, the Senior Accountant and the Trust Representative. There are teachers in each of these subjects. The School's Chief Accountant leads an Administration Team comprising the Accountant, the Cashier and the Storekeeper. The Mvumi School Representative assists the chief accountant. Each of the school's three boarding houses is supervised by two matrons or patrons who combine pastoral care for the students with supervision of health and cleanliness. Sponsored male students have their own hostel, San Siro, supervised by a patron selected by the school in conjunction with the Trust. 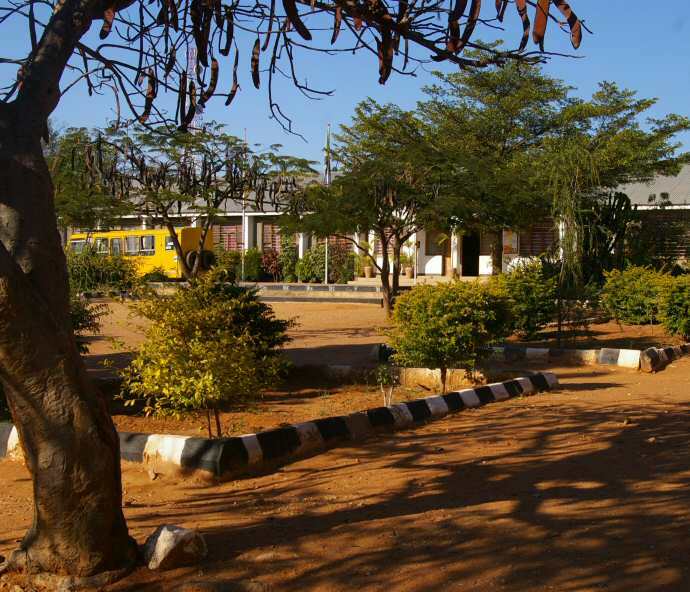 The school has attractive grounds which are maintained by the students overseen by the 2 gardeners. The school employs security guards to ensure that the environment is safe for the students and staff.